Vintage Mannequin as interior decoration can give your room a lot character. Mannequin Stands are not just for tailors and store displays. 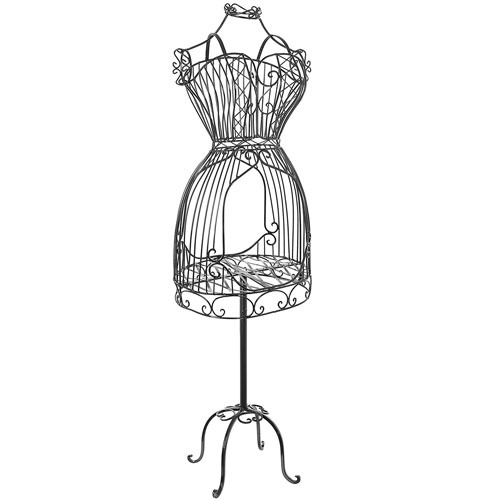 Also known as Dress Forms, the beautiful Wire Mannequin Stands provide a vintage look to any room. Traditionally, tailors use dress forms as three-dimensional stands. 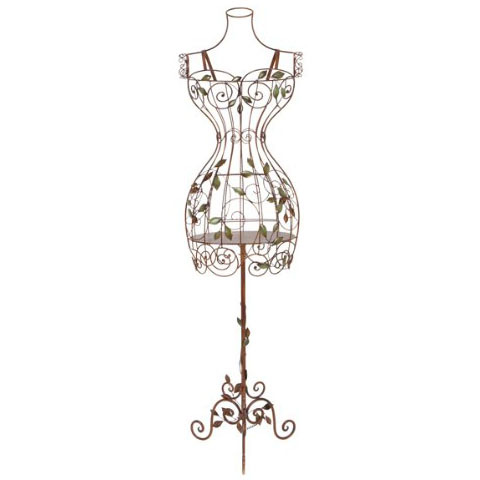 But Vintage Mannequin Stands can also be used to hang jewelry, scarves and hats. These whimsical stands are both practical and decorative. Wire Skirt and Vintage Style Metal Base. The base is a iron stand that is very stable and heavy. It will not fall over. The bottom skirt is made of heavy gauge iron that you can use to display earrings as well. Works beautifully if you need some height for your shop or craft show display. This beautifully designed scrolling iron metal dress form mannequin is a must have accent for your bedroom, sitting room or bathroom. The elegant design will compliment any decor and add a character to the room.